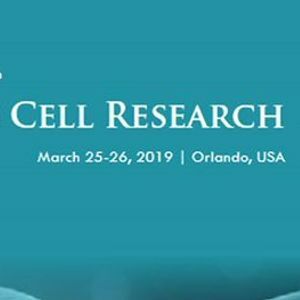 Conference Series LLC Ltd invites all the participants from all over the world to attend '11th World Congress on Cell & Stem Cell Research’ during March 25-26, 2019 in Orlando, USA which includes prompt keynote presentations, Oral talks, Poster presentations and Exhibitions. Stem cells are cells originate in all multi-cellular organisms. They were isolated in mice in 1981 and in humans in 1998. In humans there are several types of stem cells, each with variable levels of potency. Stem cell treatments are a type of cell therapy that introduces new cells into adult bodies for possible treatment of cancer, diabetes, neurological disorders and other medical conditions. Stem cells have been used to repair tissue damaged by disease or age. Stem Cell Research-2019 has the platform to fulfill the prevailing gaps in the transformation of this science of hope, to serve promptly with solutions to all in the need. Stem Cell Research 2019 will have an anticipated participation of 120+ delegates across the world to discuss the conference goal. The success of the Cell Science Conference Series LLC Ltd has given us the prospect to bring the gathering in Orlando, USA. Since its commencement in 2011 Cell Science series has witnessed around 750 researchers of great potentials and outstanding research presentations from around the world. Awareness of stem cells and its application is becoming popular among the general population. Parallel offers of hope add woes to the researchers of cell science due to the potential limitations experienced in the real-time. 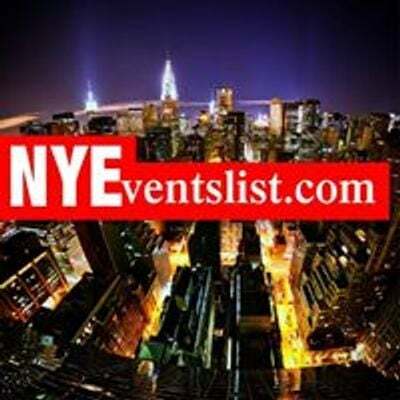 Conference Series LLC Ltd is one of the leading Open Access publishers and organizers of international scientific conferences and events every year across USA, Europe & Asia ConferenceSeries LLC Ltd has so far organized 3000+ Global Conferenceseries LLC Ltd Events with over 600+ Conferences, 1200+ Symposiums and 1200+ Workshops on Medical, Pharma, Engineering, Science, Technology and Business with 700+ peer-reviewed open access journals in basic science, health, and technology. Conference Series LLC Ltd is also in association with more than 1000 International scientific and technological societies and associations and a team of 30,000 eminent scholars, reputed scientists as editorial board members. Stem Cell Research-2019 will encompass recent researches and findings in stem cell technologies, stem cell therapies and transplantations, current understanding of cell plasticity in cancer and other advancements in stem cell research and cell science. Stem Cell Research-2019 will be a great platform for research scientists and young researchers to share their current findings in this field of applied science. 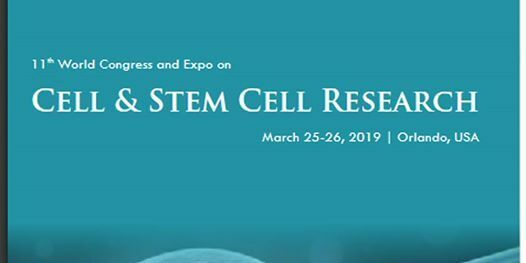 The major scientific sessions in Stem Cell Research-2019 will focus on the latest and exciting innovations in prominent areas of cell science and stem cell research. Developmental Biology, June 18 - 22 , 2017, Singapore; Germinal Stem Cell Biology, June 18-23, 2017, Hong Kong, China; Stem Cells, Cell Therapies, and Bioengineering in Lung Biology and Diseases, July 24-27, 2017, Vermont, Burlington, VT; Advances in Stem Cells and Regenerative Medicine, May 23 - 26, 2017, Heidelberg, Germany. Stem-cell therapy is the use of stem cells to treat or prevent a disease or condition. Bone marrow transplant is the most widely used stem-cell therapy, but sometherapies derived from umbilical cord blood are also in use. Self-reestablishment and multiplication of foundational microorganism populaces is controlled, to some degree, by affectation of apoptosis. The quantity of foundational microorganisms is thusly a harmony between those lost to separation/apoptosis and those increased through multiplication. Apoptosis of immature microorganisms is accepted to be a dynamic procedure which changes because of natural conditions. Stem cell transplantation, sometimes referred to as bone marrow transplant, is a procedure that replaces unhealthy blood-forming cells with healthy cells. Stem cell transplants commonly are used to treat Leukemia and lymphoma, cancers that affect the blood and lymphatic system. Molecular Genetics and Gene Therapy, July03-05, 2017, Thailand, Bangkok; Human Genetics, September 14-15, 2017 Edinburgh, Scotland; Systems and Synthetic Biology, July 20-21, 2017 Munich, Germany; Integrative Biology, June 19-21, 2017, London, UK; Tissue Engineering and Regenerative Medicine, August 23-24 , 2017 San Francisco, California ,USA; Signal Transduction in the Immune System, June 18-23, 2017, Colorado, USA; The Tenth ISABS Conference on Forensic and Anthropologic Genetics and Mayo Clinic Lectures in Individualized Medicine, June 19-24, 2017, Dubrovnik, Croatia; Cancer Immunology and Immunotherapy: Taking a Place in Mainstream Oncology , March 19-23,2017, Whistler, Canada; Managing Cell and Human Identity, April 26, 2017, Philadelphia, U.S.
Embryonic stem (ES) cells are cells derived from the early embryo that can be propagated indefinitely in the primitive undifferentiated state while remaining pluripotent; they share these properties with Embryonic germ (EG) cells. Candidate Embryonic stem and embryonic germ cell lines from the human blastocyst and embryonic gonad can differentiate into multiple types of somatic cell. Regeneration is the process of renewal, restoration, and growth that makes genomes, cells, organisms, and ecosystems resilient to natural fluctuations or events that cause disturbance or damage. Therapeutics is the branch of medicine concerned with the treatment of disease and the action of remedial agents. Tissue engineering can be defined as the use of a combination of cells, engineering materials, and suitable biochemical factors to improve or replace biological functions in an effort to improve clinica l procedures for the repair of damaged tissues and organs. Stem cell research is perhaps the most exciting medical technology of the 21st Century. Stem cells hold the promise of treatments and cures for more than 70 major diseases and conditions that affect millions of people, including diabetes, Parkinson's, Alzheimer's, cancer, multiple sclerosis, Lou Gehrig's Disease (ALS), spinal cord injuries, blindness, and HIV/AIDS. Cancer cells are cells gone wrong in other words, they no longer respond to many of the signals that control cellular growth and death. Cancer cells originate within tissues and, as they grow and divide, they diverge ever further from normalcy. Over time, these cells become increasingly resistant to the controls that maintain normal tissue and as a result, they divide more rapidly than their progenitors and become less dependent on signals from other cells. Cancer cells even evade programmed cell death, despite the fact that their multiple abnormalities would normally make them prime targets for apoptosis. In the late stages of cancer, cells break through normal tissue boundaries and metastasize to new sites in the body. Stem cell plasticity refers to the ability of some stem cells to give rise to cell types, formerly considered outside their normal repertoire of differentiation for the location where they are found. Included under this umbrella title is often the process of “transdifferentiation” – the conversion of one differentiated cell type into another, and metaplasia – the conversion of one tissue type into another. Regenerative medicine is a branch of translational research in tissue engineering and molecular biology which deals with the "process of replacing, engineering or regenerating human cells, tissues or organs to restore or establish normal function. Stem-cell niche refers to a microenvironment, within the specific anatomic location where stem cells are found, which interacts with stem cells to regulate cell fate. The word 'niche' can be in reference to the in vivo or in vitro stem-cell microenvironment.During embryonic development, various niche factors act on embryonic stem cells to alter gene expression, and induce their proliferation or differentiation for the development of the fetus. The regulation of stem cell research is an issue that has drawn much comment, criticism and even judicial arbitration in recent years.